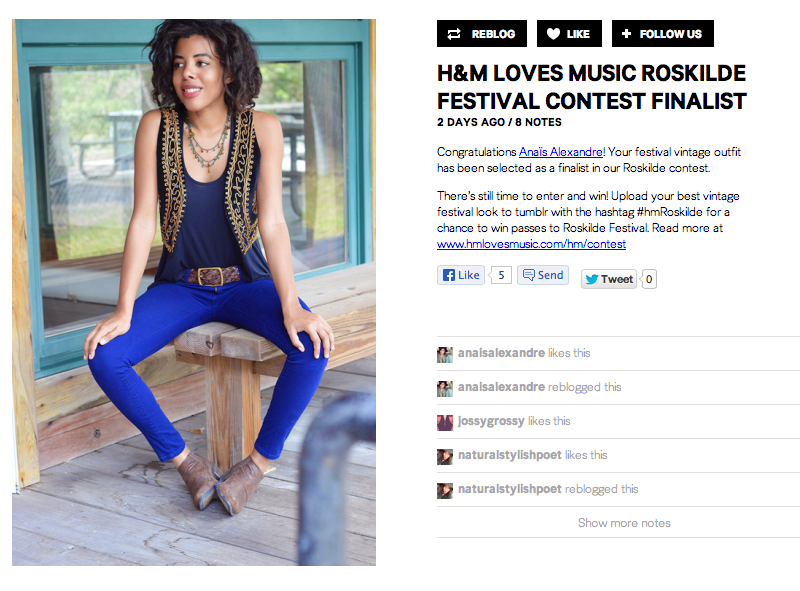 I'm A H&M Roskilde Contest Finalist! I'm so excited to be one of the ten selected finalists to win a trip to the Roskilde Festival in Copenhagen, Denmark through H&M. Honestly, I feel like I've already won. Just being one of the finalists is awesome enough. Whoever wins the trip to Roskilde I hope you enjoy it! Cheers!